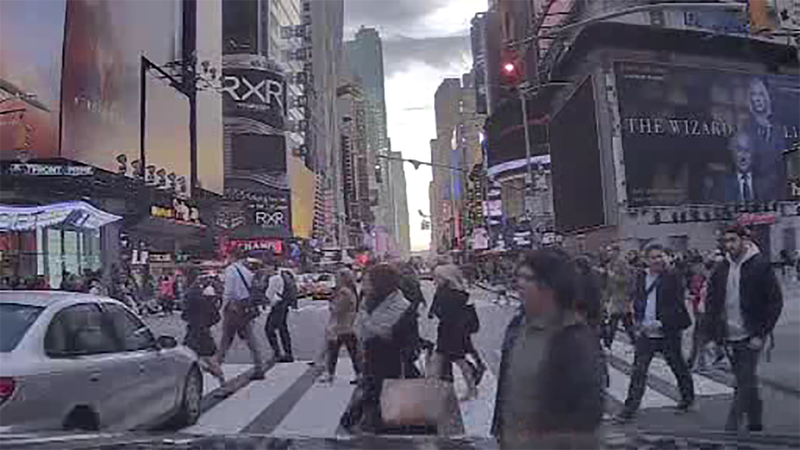 NEW YORK (WABC) -- The New York City Council is expected to pass two bills Wednesday aimed at improving pedestrian safety. One proposal would call on the Department of Transportation to study the city's most dangerous intersections. The second would ask the DOT to decide whether they should implement the 'Barnes Dance' at those locations. The 'Barnes Dance' or the 'pedestrian scramble', is when traffic comes to a complete four-way stop, and pedestrians can cross in all directions for 25 seconds. Lawmakers say it has already been a success at some intersections throughout the city. "In the few areas that we have implemented the Barnes Dance in the city, crashes have been going down," Councilman Ydanis Rodriguez said. The Barnes Dance is named after traffic engineer Henry Barnes. The story goes people were so happy when it was first installed they danced in the street.